Are you ready to dress up as everybody’s favorite pet dinosaur? We are talking about none other than Dino, of course. 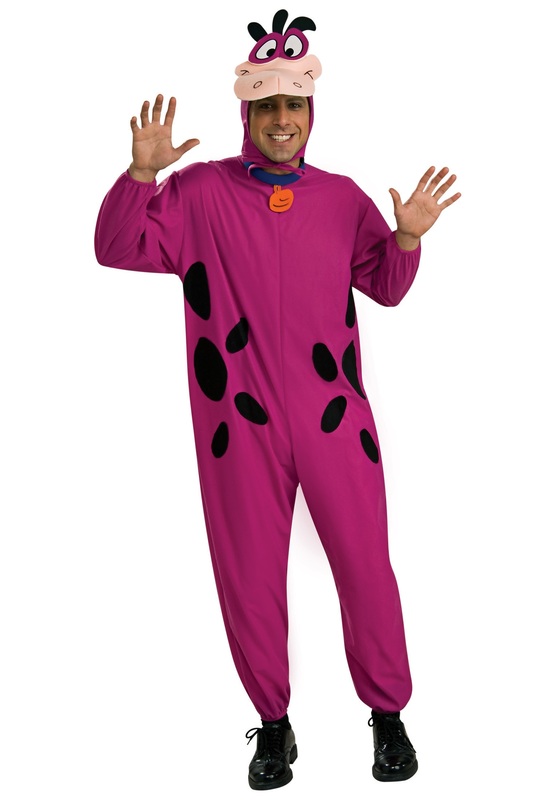 Everyone’s favorite member of the Flinstone family is the friendly purple pet dinosaur slobbering all over Fred! And now, you can transform into this lovable Snorkasaurus with this awesome Adult Dino Costume. What would be better than having the life of a dog? You get to go on walks, you get love and attention all day, and you have the luxury of enjoying as many naps in a day as you want. So yeah, to us it sounds like the dream life. The only thing that could make that life better is if you happened to be a crazy cool dinosaur instead of an average everyday dog. Well, with this awesome Dino Costume, you’ll be able to run around through endless Halloween parties as everybody’s favorite house pet. Fred may not have appreciated Dino jumping on him when he walked in the house after a long day of work, but for many of us, that was a classic and beloved gag in our childhood. Dino reminded all of us of the loving pooches we had waiting back at home and so instantly he was embedded into our hearts. Tug at everyone’s heartstrings when you remind them of both their childhood and their pets with this awesome costume. Find a couple of friends to go as Fred, Barney, Wilma, and Betty, and you guys can all give everyone a blast back to the Stone Age! Show everyone how Bedrock gets down with some awesome prehistoric dance moves. With this playful purple costume, you are sure to be a crowd favorite this Halloween.